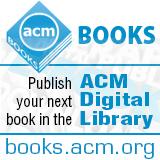 Welcome to the May 12, 2014 edition of ACM TechNews, providing timely information for IT professionals three times a week. U.S. Federal Communications Commission (FCC) chairman Tom Wheeler is amending his controversial proposed rules for broadband Internet regulation, and promises the agency will bar companies from segregating Web traffic into fast and slow lanes. The new language attempts to resolve criticism of Wheeler's initial proposal to prevent broadband providers from blocking or slowing down websites, but permit them to enter into agreements in which content companies could pay them for faster delivery of content to customers. An FCC official says the agency will scrutinize such arrangements to ensure broadband providers do not unreasonably put nonpaying content providers' Web traffic at a disadvantage. The official also says the draft would seek comment on whether paid prioritization deals should be prohibited altogether, and seek to ban the major broadband providers from doing deals with some content firms on terms they are not offering to others. Critics are unlikely to be satisfied with Wheeler's changes, especially those advocating for pure net neutrality. Analysts say Wheeler's willingness to consider the subject of reclassifying broadband as a public utility is a bold move, with supporters saying the FCC cannot prevent paid prioritization deals without it. A national education movement with an emphasis on computer science is growing quickly in the U.S. Since December 2013, 20,000 teachers from kindergarten through 12th grade have introduced coding lessons, and about 30 school districts have agreed to add coding classes in the fall, according to Code.org. The spread of coding instruction, although still in its early stages, is "unprecedented--there's never been a move this fast in education," says University of Michigan professor Elliot Soloway. Although it is still unclear if teaching basic computer science in grade school will lead to future jobs, and some educators are concerned about the tech industry's significant role, school districts across the United States are gradually adding the programs to their curriculums. For example, New York City public schools are training teachers for classes in 40 high schools next fall, and Chicago's public school system plans to make computer science education a high school graduation requirement in five years. "There's a big demand for these skills in both the tech sector and across all sectors," says Britt Neuhaus, New York City schools' director of special projects at the office of innovation. The city plans to expand its teacher training efforts and possibly extend it into middle schools. Election officials are facing a growing imperative to replace outdated voting technology to prepare for elections over the next decade. Following polling difficulties in 2012, President Barack Obama formed the Presidential Commission on Election Administration to improve the process in future elections. The commission in January released a report calling for next-generation voting machines to be commercially made, software-only products. The commission says current voting technology poses an "impending crisis" and is encouraging jurisdictions to replace existing equipment, most of which was purchased in the mid-2000s. The current generation of voting machines largely replaced punch cards and lever machines with optical scanners and direct-recording electronics. Experts say future machines are likely to combine off-the-shelf components, including a tablet device, a printer, and an optical scanner to read the paper ballot that gets printed. However, hacking concerns and other security issues must be addressed if voting machines are to include tablets and additional electronics. In addition, vendors are discouraged from entering the voting machine market because federal and state standards have not been updated to reflect changing technology. Nonetheless, officials in Los Angeles County and Travis County, TX, are designing voting systems, which are expected to feature an electronic machine that generates a marked paper ballot. Computer science student enrollments were at the highest point ever prior to the dot.com bust, but after reaching a low point in 2007, enrollments are rising once again. The number of new undergraduate computing majors at Ph.D.-granting U.S. universities rose by more than 13.4 percent last year, marking the sixth consecutive year of enrollment gains, according to the recent Computing Research Association annual report on computer science programs. Although last year's enrollment increase is a good sign for the industry, it is behind the 2011-2012 pace, when computer science enrollments rose by almost 30 percent. Still, the overall enrollment increase since 2010 "bode well for future increase in undergraduate computing production," according to the report. There were 63,873 students enrolled in computer science programs last year, compared to 56,307 in 2012, including all the majors in computer science departments. However, that figure does not include computer science schools without Ph.D. programs. Although women are still underrepresented in the tech workforce, the percentage of women among bachelor's degree graduates in computer science increased to 14.2 percent in 2012-2013, up from 11.7 percent in 2010-2011. Artificial intelligence, networking, and software engineering were the most popular areas of specialization for doctoral graduates. Working as part of the SmartAmerica Challenge, University of Washington (UW) researchers say they have developed telerobotics technology that could make disaster response faster and more efficient. The SmartAmerica Challenge is an initiative that encourages the development of new technologies that help society in the connected world. "We are working on an application of technology that's clearly for the public good, and that's what motivated our team's idea," says UW professor Howard Chizeck. The researchers, called the Smart Emergency Response System team, want to combine conventional "smart" technologies, including teleoperated robots, a high-tech dispatch system, drones, and vests equipped with sensors and global-positioning system tracking, to better serve society during disaster and crisis response. "The key is we're taking many developed technologies from different organizations and putting them together in a way that's innovative," Chizeck says. The researchers are focusing on developing robots that can interact more seamlessly with human operators. "The idea is really to combine the skills and situational awareness of a human operator with the precision and repeatability of an autonomous robot," says UW researcher Fredrik Ryden. "This way we can rely as much on a robot as we can on a human." Carnegie Mellon University researchers have developed TouchTools, a gesture design approach that enables users to manipulate tools on the screen just as they would in real life, with the goal of making software more natural to use. "The core idea behind TouchTools is to draw upon user familiarity and motor skill with tools from the real world, and bring them to interactive use on computers," says Carnegie Mellon University professor Chris Harrison. TouchTools enables users to replicate a tool's corresponding real-world grasp and press it to the screen as though it was physically present. The system recognizes this motion and instantiates the virtual tool as if it was being grasped in that position. "We propose that touch gesture design be inspired by the manipulation of physical tools from the real world," Harrison says. "In this way, we can leverage user familiarity and fluency with such tools to build a rich set of gestures for touch interaction." During testing, the researchers found that with only a few minutes of training on a proof-of-concept system, users were able to summon a variety of virtual tools by replicating their corresponding real-world grasps. The team presented their research at the recent ACM CHI Conference on Human Factors in Computing Systems in Toronto. Tel Aviv University (TAU) researchers say they have developed a smartphone camera with high-quality zoom capabilities, which bridges the gap between the cellphone camera and the digital still camera. The technology is based on a lightweight cellular camera that uses a two-lens approach to produce sharper images. The two lenses combine images from two different fields of vision, fusing them into one sharply defined picture. "Our technology provides up to three times the zoom factor, has improved low-light performance, and can fit into compact dimensions," says TAU professor David Mendlovic. He notes the technology requires that smartphones have good, but not great, processing capabilities. "We also took a holistic approach, investigating the entire camera system instead of specific camera components," Mendlovic says. He also notes the next-generation camera offers four times the resolution, better low-light performance, and a unique user experience when compared to conventional systems. The world championships for the FIRST robotic competitions took place in St. Louis during the last week of April. About 12,000 students from 38 countries competed in the competitions, and 20,000 people cheered on the two high school alliances that battled for first place at the conclusion of the three-day event. The winning alliances, consisting of four teams from San Jose, CA, Bloomfield Hills, MI, Dallas, TX, and Holland, MI, battled via their proxies, moving machines that threw balls over a truss, caught balls, and put as many balls as possible through goals. There were several awards for the future innovators, and many come with some of the $25 million in scholarships made available through the competitions. The FIRST Robotics Competition, which was launched in 1989 by inventor Dean Kamen to encourage young people to have an interest in science and technology, kicks off each year at the local level. More than 68,000 students on 2,727 teams participated in 98 regional and district competitions this year. "FIRST is the way through sports to let kids see how exciting and rewarding and accessible the world of engineering and technology really are," Kamen says. "Take what you have learned here and solve the world's problems." Malardalen University researchers are developing virtual technology that could serve as an accessory for Google Glass. Robot vision is the focus of the research project to develop a virtual keyboard, which has been ongoing since 2005. The keyboard features two bracelets that are placed around the wrists or over the hands. Through sensors, the keyboard can feel the position of the fingertips, the surface, and the movements of the user and uses that information to determine which key is touched, while the user can see it in a pair of Google Glasses. The two units also function as a computer mouse and as a unit for gesture input. The researchers say the virtual keyboard makes a completely new form of interaction possible. They note the technology has applications for businesses and individuals, is useful for small spaces, and offers relatively new positions that could decrease the risk of repetitive strain injury. The team is looking for additional funding in order to complete the project in a year. Virginia Institute of Technology researchers are developing a mobile software app that enables students visiting historic sites to learn in new, interactive ways. The app uses augmented reality to give students the ability to "see" a historic structure as it appeared in the past through the camera lens of a smartphone or tablet. Users can then explore the site and examine various objects, looking for points of historical interest. In addition, users will be able to read historical documents, view photographs, and listen to audio such as oral history interviews related to the location being visited. "The goal is to use technology to help secondary school students learn how to use evidence to build an interpretation of the past," says Virginia Tech professor David Hicks. The app takes historic photographs, film, or other media and overlays them on the view screen of the mobile device as the user holds it up to an historic building or to an empty landscape where a structure once stood. The device's camera, Global Positioning System, and other sensors enable the app to identify what or where the user is looking, so users can see how an historic building and its surroundings looked in the past. The Center for Human-Computer Interaction at Virginia Polytechnic Institute and State University (Virginia Tech) recently won the 3D User Interface Contest held by the Institute of Electrical and Electronics Engineers' 9th annual Symposium on 3D User Interfaces. The contest challenged participants to develop a quick, easy-to-use method of annotating three-dimensional (3D) point clouds, which are used to generate detailed 3D geometric models. To make point clouds useful, humans must identify components and annotate functions. Given a 3D point cloud of an insect, participants were asked to annotate the locations of antennas, legs, and other components via textual labels on highlighted regions. Virginia Tech researchers wrote custom software called Slice-and-Swipe, driven by an off-the-shelf 3D mouse and air gesture controller. "We called it Slice-and-Swipe, because of the chef's knife metaphor whereby you slice the data set into pieces and swipe away the unwanted points," says professor Doug Bowman, the Virginia Tech team's faculty adviser. Bowman says the key to the software is a concept the team calls "progressive refinement," which enables users to make a series of imprecise actions to end up with one precise result. In addition, the Virginia Tech team created two other software tools, including a 3D lasso tool and a bubble tool, to enable annotation regardless of the point cloud's shape or size. In an interview, Cyberemotions project coordinator and Warsaw University of Technology professor Janusz Holyst discusses the potential implications of using emotions on the Internet. Completed last year with European Union funding, Cyberemotions studied the role of collective emotions in creating, forming, and dismantling e-communities. Holyst says the project examined how Internet users express emotions and how these emotions become collective. Negative emotions are more readily expressed than positive emotions in many online communities. Although negative emotions can drive the group, when sentiments drop below a certain level the group will break apart, Holyst says. In addition, the researchers found an emotional transfer that occurs in online communities, in which comments are likely to mirror the emotional tone of the preceding comment. Holyst says online communities are vulnerable to emotional manipulation, which could be carried out by bots sending messages targeting specific groups by exploiting psychological profile information. The Cyberemotions project also developed a Sentistrength program to automatically detect emotions. Holyst says the tool could eventually be used as an "emotional spell checker" within text editors or mail programs to help users control the emotional tone of their communications. He says Sentistrength also could be used to help companion robots appear empathetic and to serve as cyber advisers in online communities.